Being an affordable place for a short break, North Norfolk offers breathtaking scenery to locals as well as visitors. It’s countryside and coastline are both stunning and unspoilt. The best time to be there is in the spring, or autumn, when the region is warm with less tourists. Sandy beaches with panoramic skies give North Norfolk the excellent flavour that every visitor enjoys. North Norfolk has unique and award-winning beaches and you can experience tranquility watching some amazing species of birds and wildlife in North Norfolk. Amazingly, it is spacious enough, so there is no need for jostling. Holkham, one of its finest beaches, is the 2018 Beach of the Year. A tour around the coast will be a three days adventure otherwise using Coasthopper bus which patrols the coast will enable you take a tour in just one day around this 45 miles of wonder. There are four trails designated to lead you around the beauty of the coast as well as experience the Area of Outstanding Natural Beauty no matter which one you take. Going through the Nature Reserves will also give you the same experience. These trails will lead you through low cliffs, sand dunes, spacious sandy beaches, freshwater and saltwater marshes as well as barrier islands that can only be explored on low tide. By the countryside you will experience the exceptional nature and the rich agricultural areas. North Norfolk inland contains fertile agricultural areas and is known for its local produce, which can be found in the marketplace. The market, towns and villages, shops and museums are all located inland. The farmers’ markets and local shops will be a delight for food lovers. 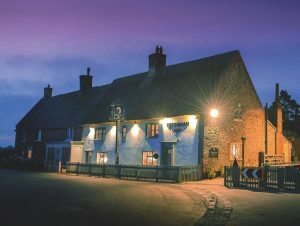 You can try a variety of food and drinks as well as fresh seafood and locally produced beer while visiting North Norfolk.